Any numbers about fast charge temperature requirement ? --what is the minimal battery temp. to allow 50kw charge ? --what is the maximal battery temp. to allow 50kw charge ? I'm not sure this is going to save you any money. Won't the increase in charge rate will be offset by the need to add more energy since heating the battery will drain it? SeanNelson wrote: I'm not sure this is going to save you any money. Won't the increase in charge rate will be offset by the need to add more energy since heating the battery will drain it? Many QCs are pay by the minute, not kWh. This is due to laws about reselling electricity. So faster charging could save money. And yes, there is also the time aspect. That part matters a lot more to me than the cost. I agree that some kind of user-initiated battery pack pre-heating might be a useful feature for speeding up fast charges during the winter. I wrote an article about these issues that includes a graph showing the Bolt’s DC charging rate at different pack temperatures. It also has a link to the source of the graph which is a French-language study from Quebec. 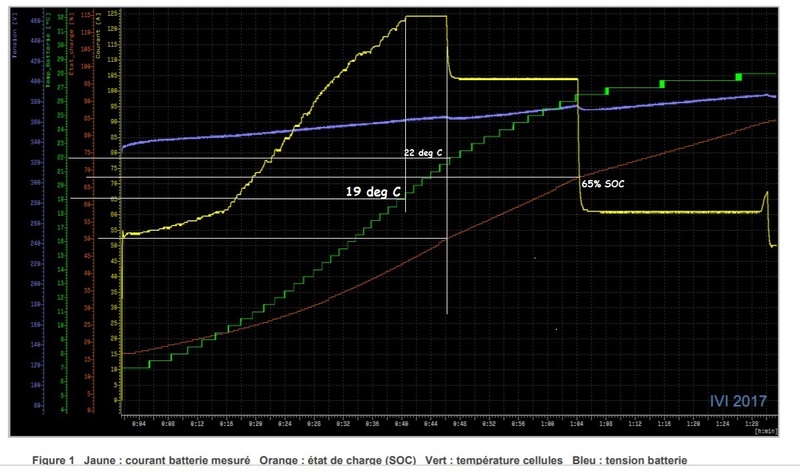 JeffN wrote: I wrote an article about these issues that includes a graph showing the Bolt’s DC charging rate at different pack temperatures. JeffN you pinpointed the exact problem + perfect solution ! thank you and congragulation on this article !!! Quote from it "If a Kona does have a dedicated battery heater installed the owner can enable a “Winter Mode” which uses the heater to help proactively warm the battery pack. Software updates to other car models could add a similar feature someday"
to charge compare to the Kona ! i dont know witch of the 50% soc or 23degC trigger the 105 amp ? i'v made this graph to show best fast charge requirement : feel free to submit numbers ! I don't agree with the temperature gauge - 15C is all that is needed to get full. Tesla does this, BTW - it will heat up the battery on route to the charger. It will absolutely save you time and money by doing this. 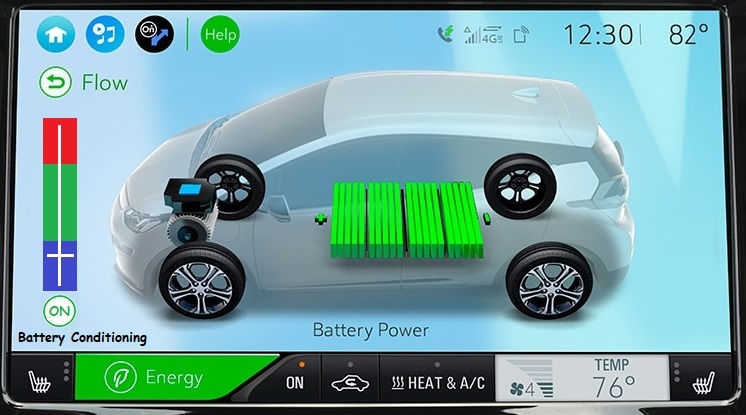 The extra charging speed will greatly outweigh the relatively small amount of power used to heat up the battery. 30 minutes = 1.25kW of power, but I can charge at 45kW right off the bat instead of 20kW slowly creeping up to 40 by the time I hit 55%. To make it simple, I'd just have them add something to the myChevrolet app. Would probably be easier. Could even tie it in with their energyAssist thing that they have. Simply put, if you navigate to a charger, turn on the battery heater.